In September 2014, the School for Girls in Shufat refugee camp in Jerusalem, designed by Sandi Hilal, Alessandro Petti and Livia Minoja for the UNRWA Infrastructure and Camp Improvement Program, opened its doors to 1000 students. 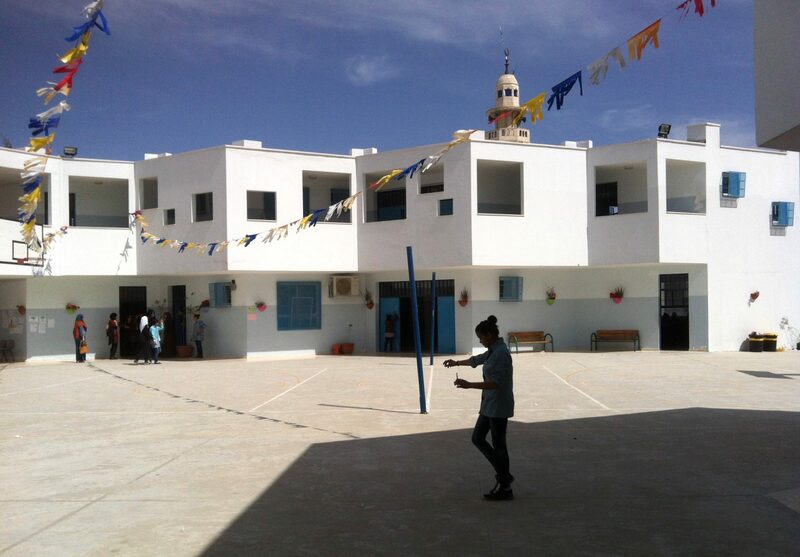 The design of the school is inspired by the experimental educational approach cultivated by Hilal and Petti in Campus in Camps*, an educational program based in Dheisheh refugee camp in Bethlehem and the tree school**, communal learning initiatives that are not confined within the traditional walls of academia, but which cut across different forms of knowledge, integrating aspects of life and dialogue with the larger community. 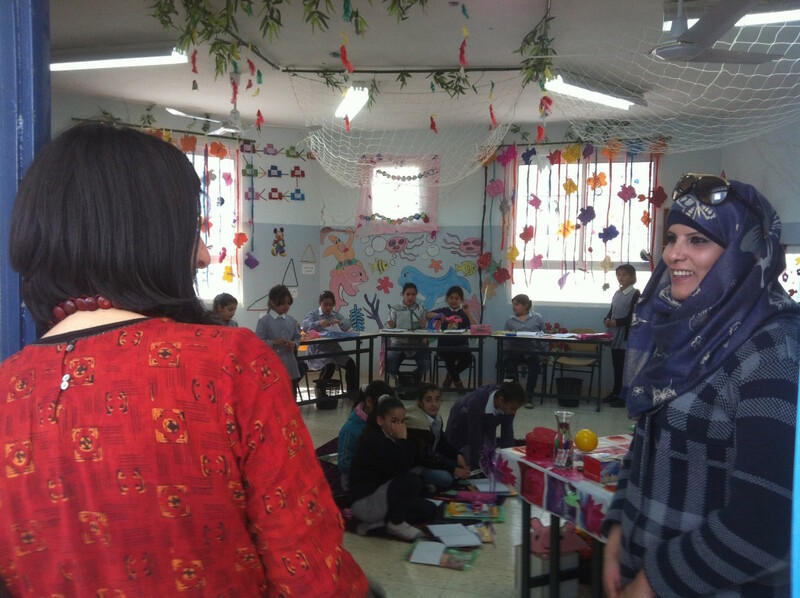 Their approach is devoted to the formation of learning environments where knowledge and actions are the result of a critical dialogue among participants, and in direct connection with communities where the interventions are taking place. To describe this egalitarian, creative and experimental environment, they use the Arabic term Al jame3ah. Translating in English as “the university”, the literal meaning of Al jame3ah is “a place for assembly”. As such, its educational approach is to create a gathering space and a pluralistic environment where participants can learn freely, honestly and enthusiastically and where participants are involved in an active formation of knowledge based on their daily lived-experience. The common learning environments that they create are constantly reshaped in order to allow the accommodation of new interests born from the interaction between the participants and the social context at large. Here the aim of their approach is to reconcile knowledge with actions in a manner that escapes from the from the limitations of “pure theory” or “pure activism”. Al jame3ah is not an isolated utopia, but rather it is a space that aims to contribute to the way schools and universities understand themselves, and overcome conventional structures. In doing so, it seeks forms of critical intervention for the democratization of knowledge production. 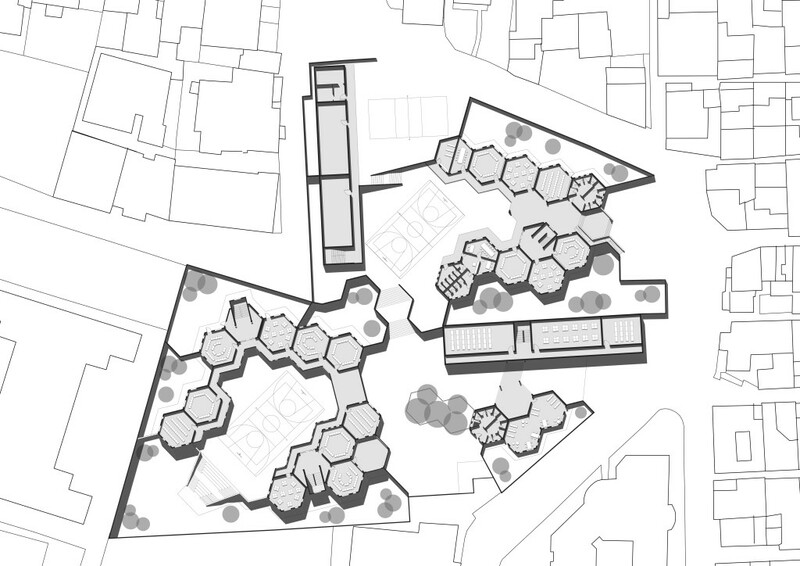 The generative form of the School for Girls in Shufat is a circular space, an hexagonal form in which students are equally invited to participate in the class discussion, whether in an indoor classroom or in the outdoor gardens. The open spaces of the gardens have been implemented by DAAR residents with the participations of students, teachers and organizations from the refugee camps in coordination with UNRWA. They are spaces where gatherings can take place more informally outdoors and under trees. For Louis Khan, schools began with a man under a tree, who did not know he was a teacher, sharing his realizations with others, who did not know they were students. 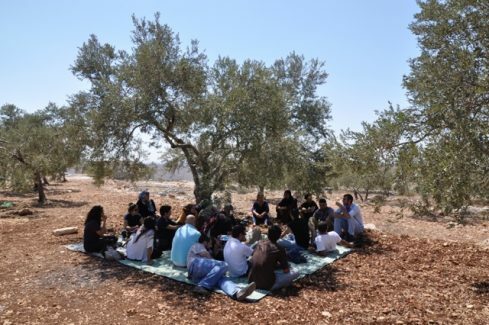 In this pedagogical spirit, the open spaces of the gardens in shufat school offer the possibility for the constitution of a tree school where people from the community could become teachers and activate community-based discussions around topics that the participants can choose according to their relative needs. The tree school is a device that creates a physical and metaphoric common territory where ideas and actions can emerge through critical, free and independent discussion among participants.